Ready to introduce your junior highers to wild examples of spiritual maturity? 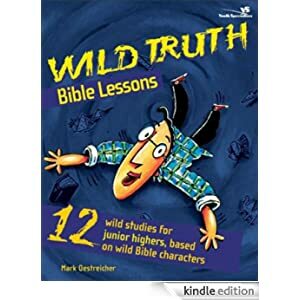 Check out biblical adventures of these people and the character qualities they exemplify — real people who, in wild Bible stories, did really wild things for God: – Kid King . . . Josiah (influencing others) – Little Timmy, the Teenage Teacher . . . Timothy (living for God while still a young teen) and more! You won’t believe all the off-the-wall discussion starters, video ideas, scripts, games with a point — and, of course, Bible passages you can use to springboard junior highers into topics that don’t just mean the world to them, but are the world. Each lesson thoroughly preps you to teach it, including convenient reminders of what materials you need and when you need them. And in each lesson students dig into Wild Pages that bring scriptural principles right into the kids’ own experience. 12 lessons. Buy this book today for $1.99.